May have other duties as assigned. You must be dedicated to the growth and development of the clients you are assigned to work with as their education and futures are a priority to us. The BSS may be assigned to work 1:1 clients in their home and community. There is the potential to work with small groups as well.We focus on working with people who have developmental, intellectual and learning disabilities. While the ages of our clients varies, with all clients the BSS will teach skills that are needed to gain more independence. Do you think you are the best person for this position? We are looking for staff members to work with our clients throughout DC, Maryland and Virginia. You must have a high school diploma or equivalency to apply for this position. Those with an educational background in Human Services, Psychology, Education, Special Education or a closely related field are encouraged to apply. You must be certified in behavior analysis, or willing to complete the certification. The submission of your résumé and cover letter signifies your agreement to obtain the certification, if you do not already have it. Your résumé and cover letter should address any experience that you have with people diagnosed with special needs; especially, experiences with people diagnosed with developmental, intellectual, or learning disabilities. Additionally, discuss your experience with behavior modification (ABA/VB), positive behavior support systems, or such other interventions along with information that addresses any training that you have received. Use this link to download and complete the Application for Employment. You can return this form to our office via USPS, fax or email. This form need to be postmarked within 2-weeks of the date that you send your résumé and cover letter or your documents will be automatically rejected. Use this link to download and complete the Affirmation for Behavior Support Staff. You can return this form to our office via USPS, fax or email. This form need to be postmarked within 2-weeks of the date that you send your résumé and cover letter or your documents will be automatically rejected. We will not schedule you for an interview without 3 professional references. For the purposes of this application, a professional reference is a current or former employer, a work colleague, a client, or a supervisor. The person providing the reference must submit the form to our Human Resources Department. The materials that you submit with you application will not be returned. Satisfactory reference, state and FBI background checks are necessary for this position. You must be approved by the client’s parent/guardian before beginning with a client. 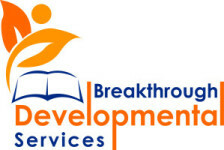 You must complete all BDS trainings. You must have reliable transportation. Evening and weekend hours are required. You must be willing to travel a minimum of 30 miles to work with clients. Resumes submitted without a cover letter will be immediately rejected. The pay range is $15 – $20 per hour depending on your education, experience and certification. For a list of FAQ associated with this position visit http://bdshelps.com/hr-faqs/. Have a suggestions to make BDS a better company? Click here to leave your suggestion.